Coming in the first half of 2015. Far Cry 4 will be released in the first half of 2015 and is set in the Himalayas, with rideable elephants also making an appearance. Eurogamer reports sources have confirmed the new locale, which marks a shift from the sandy, tropical locations we're used to. The aim is apparently to release the game before the end of March 2015, with an official reveal expected at this year's E3 in June. PS4, Xbox One and PC versions are an inevitability, though some confusion remains over whether or not we should expect to see the title on PS3 and Xbox 360. The setting based around the Himalayas will include both snowy regions but also sunnier, alpine climes. 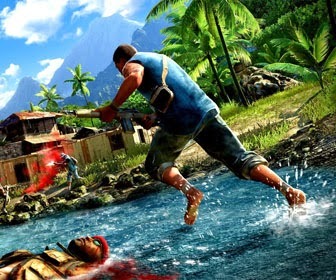 Gameplay is meant to remain similar to Far Cry 3, with an emphasis being on hunting local fauna. Consoleinfo.be will be at E3 this year and attending Ubisoft's press conference, where hopefully we'll find out more. If we're lucky, we may even get a release date for other titles including The Crew and The Division. Drive composer Cliff Martinez claimed to be working on music for "Far Cry 4" last year, and we know that Ubisoft Shanghai is collaborating on the project.